Every winter, Wavehill’s Winter Workspace Program transforms the Glyndor Gallery into studio spaces for artists to develop new work and offer creative opportunities for public interaction with the garden. 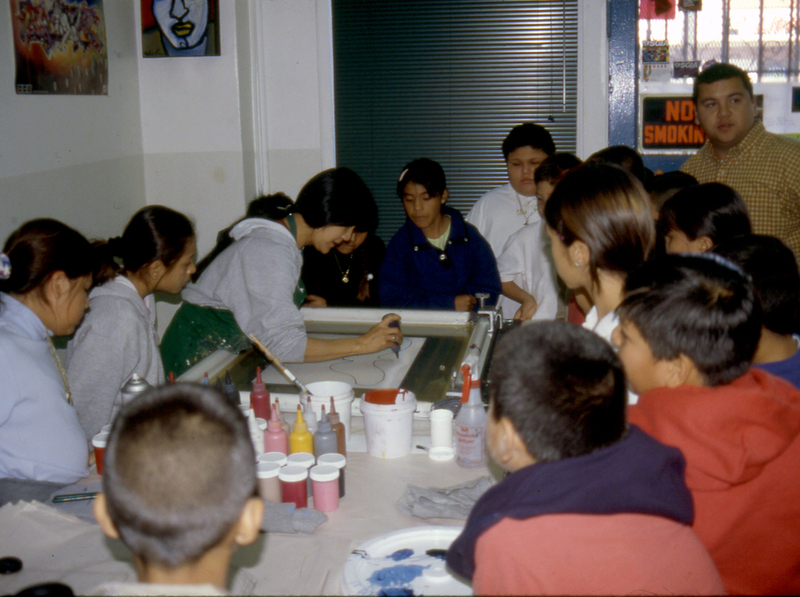 Individual artists share their studio practice with the public on several drop-in and open studio days. From January through March there are two, six-week sessions. This year’s Session 1 artists were Tomie Arai, Camille Hoffman, Pedro Ramirez, Jessica Rohrer, Jean Shin, and Austin Thomas. During the Winter Workspace session, Arai planned new research-based, site-specific work that addresses local histories. The research included the indigenous Lenape Indians and their forced removal from their homeland, as well as an exploration of slavery in colonial New York and the Bronx. 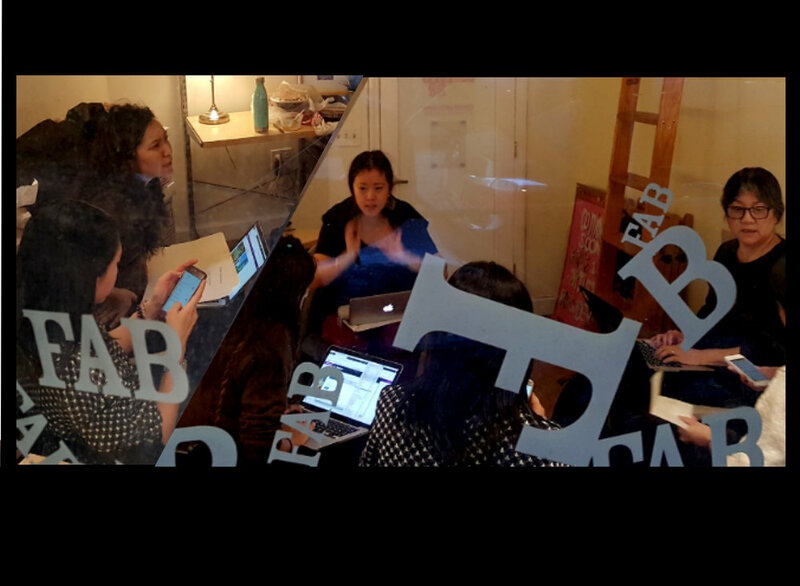 As part of our fellowship, members of the Chinatown Art Brigade were invited to be guest editors for Culture Push’s Online Journal PUSH/PULL. The Spring 2018 Issue, “Chinatown/Connex” gathered writing from CAB members who shared a deep concern for the future of Chinatowns, both locally and globally, as the tides of hyper-development and real estate investments threaten to displace residents who have called these places home for decades. Each contributor powerfully demonstrated the need to draw connections between displaced low-income communities of color and the strength of grass-roots, community-led resistance and resilience. With contributions from Huiying Chan, Diane Wong and Mei Lum, Alina Shen, Emily Mock, the Gòngmíng Collective for Language Justice, and the Chinatown Art Brigade. Artwork by Liz Moy. Working collectively as the Chinatown Art Brigade, Tomie Arai, Betty Yu and ManSee Kong's Fellowship will support Here to Stay, a collaboration with CAAAV's Chinatown Tenants Union, a grassroots organization that works with pan-Asian communities around tenants rights, youth leadership and community empowerment. The project will address themes of gentrification, displacement and community resilience in Chinatown through projections onto buildings and public landmarks in Chinatown and the Lower East Side. 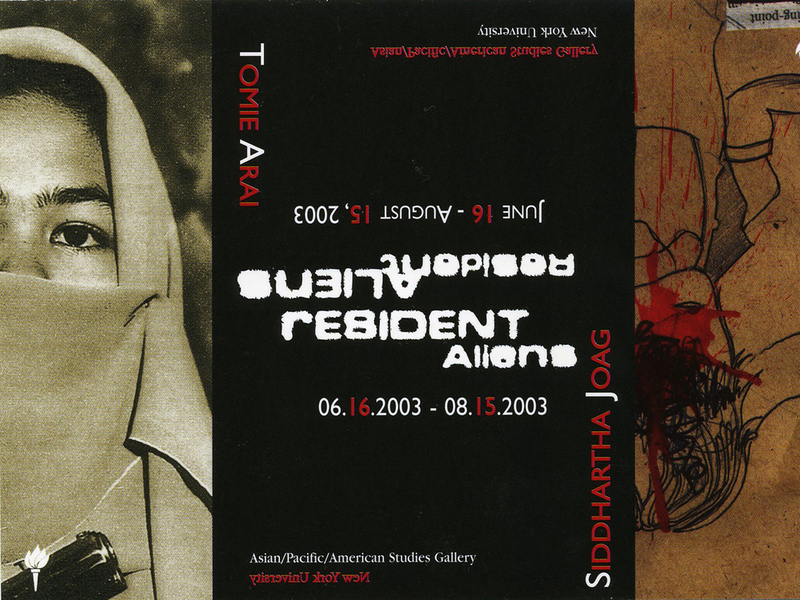 Archeology of Change was initiated as an oral history project by artist Tomie Arai and scholar Lena Sze as the Museum of Chinese in America prepared to move into its current home on Centre Street. In 2009, MoCA commissioned Arai to develop a community portrait of New York Chinatown based on the stories of those she interviewed. At the core of these conversations were the ever-present concerns of gentrification and displacement. In 2013, Arai's installation Portraits of New York Chinatown was created for MoCA's exhibition, Chinatown: Beyond the Streets. 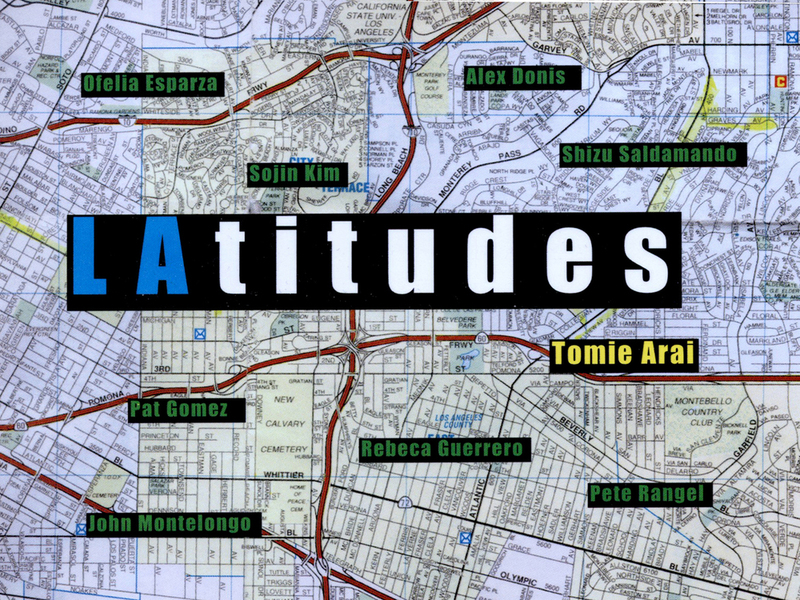 The culmination of four years of research through oral histories with long time Chinatown residents, Arai's installation presents a story of a neighborhood undergoing enormous social and economic change. The artist would like to acknowledge the following people who collaborated on this research and art project: Janice Liao, Herb Tam, and Cynthia Lee. Oral histories were conducted with: Lira and Ying Chuen Chan, Henry Chang, Ching Yeh Chen, Lana Cheung, Margaret Chin, Marcella Dear, Bert Feinberg, Anne Ho, Tran Han Ho, Yun Xiu Huang, Fani Jacobson, Paul Kazee, Bob Lee, Jan Lee, Tom and Pamela Lee, Wing Lee, Cindy Lin, Connie Ling, Frank Liu, Kam Mak, Kow Loon Ong, Sio Wai Sang, Marilyn Sontag and Daniel Carter, Betty Sze, Francis Tso, Toby Turkel, Spring Wang, Dirk Westphal, Mannar Wong, Sing Kong Wong, Jenny Ye, Pang Ho Ying. 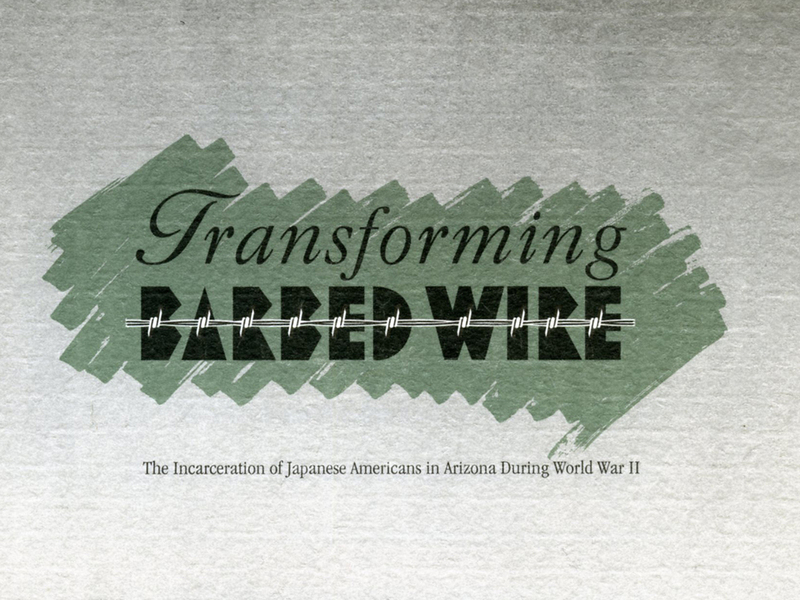 Recordings of the full interviews can viewed at MOCA’s Collections and Research Center. To download a pdf of the brochure for Chinatown: Beyond the Streets click here. 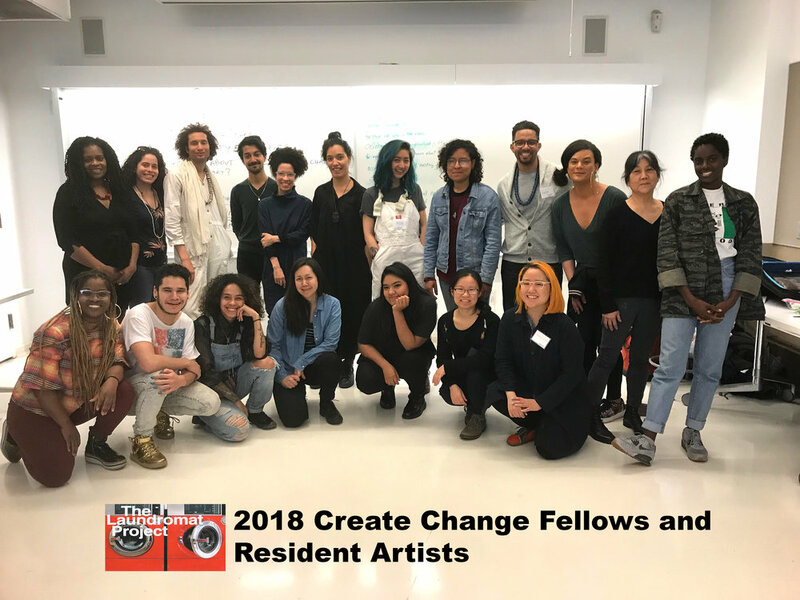 The Chinatown Art Brigade is pleased to announce that it has been selected for a 2018 Create Change residency. Over the course of six months to a year, the CAB and 4 additional resident artists will develop creative projects as sites for community engagement. For a second year, the LP will focus on the theme of sanctuary. Each participant has been invited to reimagine the role of arts and culture in addressing questions related to sanctuary as both a place and idea. Among the questions that we will address are: How do we co-create and support safety and well-being in our communities? How do we incorporate sanctuary as part of a creative practice? During the Create Change residency, CAB will launch a collaborative, critical mapping project that centers on place-keeping efforts in Chinatown and the Lower East Side. The long-term goal of the project will be protecting and preserving these historic neighborhoods. The Here to Stay: Housing for the People Mapping Project will be a bilingual, multimedia project featuring short video and audio testimonials from tenants who are directly impacted by displacement. CAB members will train tenants in the new media technology of augmented reality to unlock audio and visual place-keeping stories for future walking tours and virtual tours via web-based interactive mapping. Occupying FABnyc’s storefront office at 61 East Fourth Street, the Chinatown Art Brigade will be in residence from January to August, 2018. As part of this 7 month residency, the Chinatown Art Brigade held its first Open Studio on May 22, 2018 to launch Placekeeping-Here to Stay, a multilingual, multimedia program that features AR video and stories of tenants who live in the rapidly gentrifying neighborhood of Manhattan’s Chinatown and the Lower East Side. The Fourth Arts Block/FABnyc’s mission is to strengthen the cultural vitality of the Lower East Side. Since its founding in 2001, FABnyc serves as a strong advocate for the Lower East Side’s creative community and, specifically, for the East Fourth Cultural District which is the only designated arts district of its kind in New York City. The FABnyc Storefront Residency is located in the front offices of Cooper Square Committee, tenant organizers who developed the first Community Land Trust in NYC on East 4th Street. 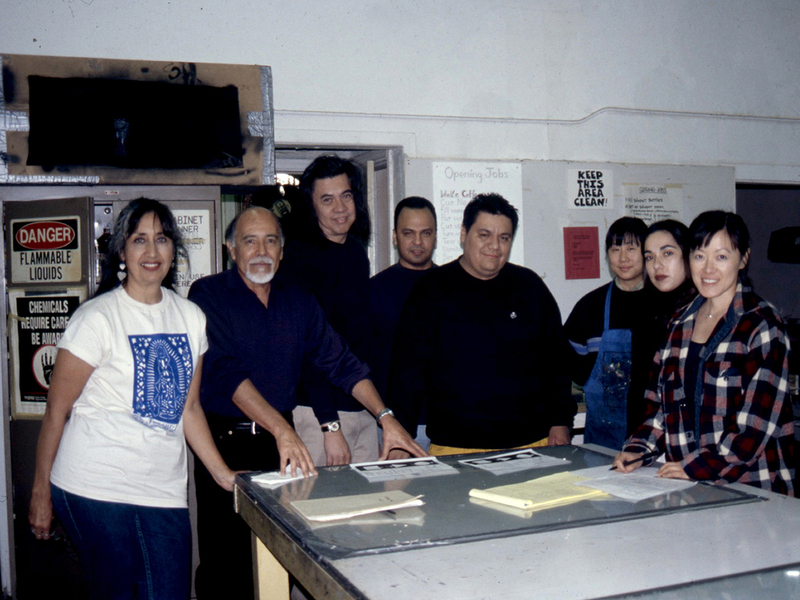 Also in residence at FABnyc’s Downtown Art Building is the Native Art Department International, a partnership between artists Jason Lujan and Maria Hupfield who will be developing programs in solidarity with Native Americans, artists and arts organizations. 2018 Open Engagement panel, Centering Community Voices, organized by Melissa Lui, with members of the WOW project, Chinatown Art Brigade, Hate Free Zone and Queens Neighborhood United. 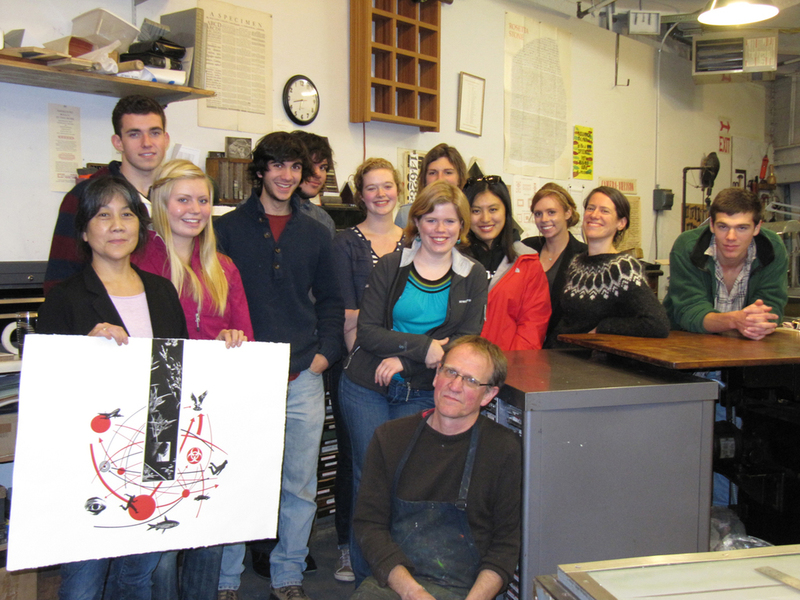 Printmaking Residency sponsored by Prawat Laucharoen for artists from NY, Thailand, New Zealand and Hawaii. l to r: Graeme Cornewell, Maki Kuulei Morinoue, Prawat Laucharoen, Sutthirat Supaparinya, Marcia Pasqua, Tomie Arai, Skowmon Hastenan.